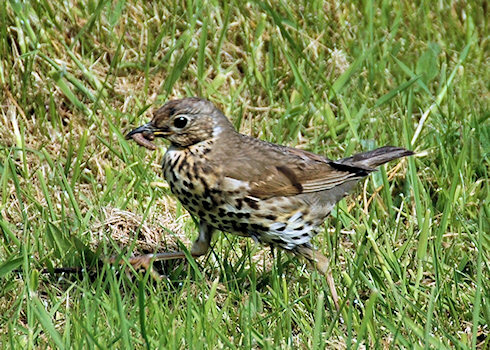 I believe this is a Song thrush, if I'm wrong please let me know in the comments so that I can correct it. Not really a rare bird I understand, but I thought it looked quite nice as it was gathering its breakfast. Not sure what it was having that morning, I think some kind of worm or caterpillar. I took this picture (and a few more) of it on a sunny June morning this year, at Kilchoman House Cottages. As usual I will post a larger version of the picture on the Islay Pictures photoblog on Saturday morning. Now it's time for a wee dram of the Laphroaig Triple Wood, probably soon followed by some much needed sleep. Good night, back tomorrow with the birdwatching videos if all goes to plan.